If you are having trouble with telnet links in internet explorer, check out my Telnet FAQ for the fix. 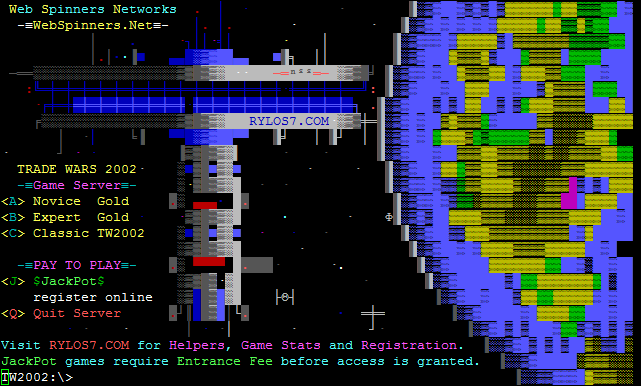 This seems to be the most popular telnet client right now. It has a powerful scripting engine, and trade warriors have posted a lot of scripts that you can download. ZOC is avilable for Windows and MAC. The cost is $80, but I remember seeing a post somewhere that TradeWars players can get a discount. A free Telnet/SSL client for Windows and Unix. 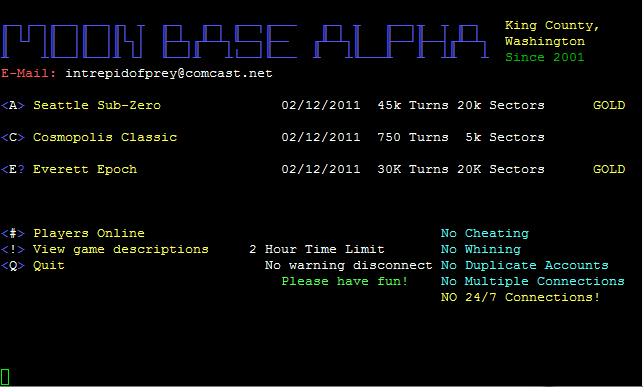 A great console based telnet application available for OS/2 and Win32. SyncTerm is a great multi-platform telnet client available for Windows, Linux, BSD, and OS X. This one brings back memories, as my original telnet crawler was written in QModem script.